Known for its iconic Mt. Mayon, sili ice cream, pinangat, Bicol Express, and pili nuts, Bicol has been a popular destination for travellers. Although identified to be susceptible to typhoons, landslides, and volcanic eruptions brought by the fast-recovering Mt. Mayon, it has proven its ability to sustain agricultural production. This was greatly appreciated during the conduct of the Bicol Consortium for Agriculture, Aquatic and Natural Resources Research and Development (BCAARRD) Agri-Farms and Industry Encounters through Science and Technology Agenda (FIESTA) on March 7-8, 2019 at the Albay Farmers Bountry Village, Camalig, Albay. The BCAARRD Agri-FIESTA featured three commodities: coconut, sweet potato, and queen pineapple, which have dominated the agricultural produce in the said region. Selected farmers accounted their success stories during the Agri-Entrep Day. From their hopes to have a better life flourished the emerging farming success from the three featured commodities. Among the farmers were Henry Regalario, a graduate of Marine Transportation, who chose to stay on the land to venture into farming of sweet potato. He is currently the president of the Libon Camote Growers Association with 400 active farmer-members in Albay. Regalario proudly shared how they started supplying sweet potato to small-scale businesses and managed to produce for big enterprises, including Ayala Malls. Through hardwork, they were able to supply a ton of sweet potato weekly. Meanwhile, Jerson Lovederio, a coconut farmer, expressed his appreciation to Bicol University, Philippine Coconut Authority (PCA), and Dignity Products and Services Incorporated (Dignity Coconuts) for transforming his life. 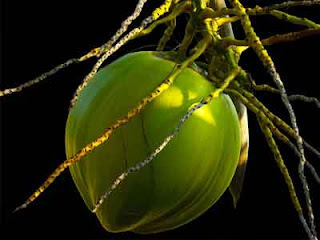 Lovederio and other coconut farmers have been assisted by PCA in recommended farming practices and the supply hybrid coconuts for sustainable farming. The farmers supply their coconuts to Dignity Coconuts, which in turn manufactured them into coconut oil and coconut water. Teresita Pasia briefly talked about the support of the local government to the farmers of queen pineapple. Known to be small yet a very sweet variety. It is eaten fresh or manufactured as drinks and snacks. A project by the Camarines Norte State College and Visayas State University was also discussed during the Agri-Entrep Day. The project maximizes the trash from queen pineapple fruit, including leaves, peels, eyes, core, and pomace. The said parts of the queen pineapple can be turned into charcoal briquette or bran, a feed supplement for native chicken. FIESTA is a technology promotion, transfer, and commercialization platform initiated by the Philippine Council for Agriculture, Aquatic and Natural Resources Research and Development of the Department of Science and Technology (DOST-PCAARRD).